January 24, 2019 – Jewish Community Relations Council/AJC (JCRC/AJC) and Jewish Federation of Metropolitan Detroit’s Israel & Overseas department will welcome Itai Anghel, one of Israel’s most prominent TV journalists, to Temple Beth El (7400 Telegraph Rd., Bloomfield Hills) on Wednesday, February 6. His presentation, “ISIS – The Day After: A Look from Within,” will begin at 7 p.m. and will conclude with a dessert reception – dietary laws observed. Through clips and first-hand experience, Anghel will address what led to the rise and fall of the ‘Islamic State’ and the Jihadists in the Middle East, which influenced Israeli and U.S. foreign policy. In doing so, he will help attendees understand the possible re-emergence of the organization’s ideas. Anghel is the only Israeli journalist who has been covering the region from the fall of Saddam Hussein to the present-day breakup of Syria. The recipient of numerous awards, Anghel was the top recipient of the Sokolov Award, the highest award for outstanding journalism in Israel, in 2017. 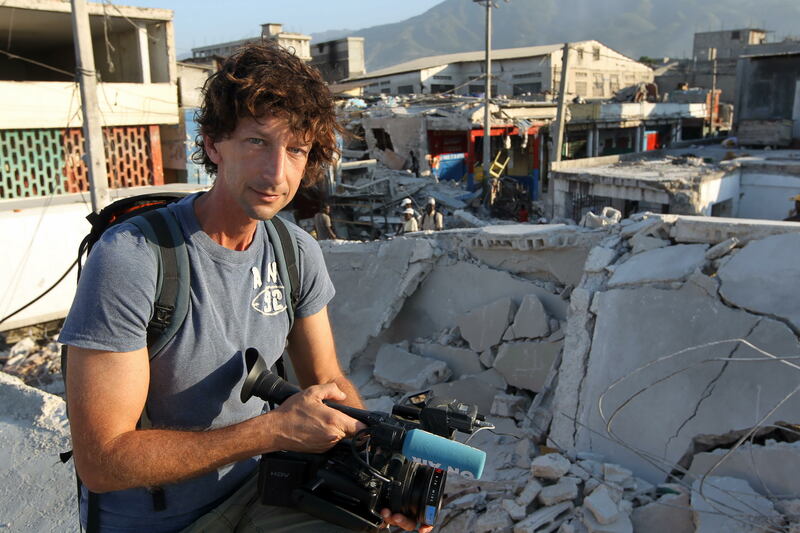 He is known for his unique field-work and in-depth documentaries, which feature his unique ability to deeply and fearlessly explore the most dangerous hot-spots around the globe, while intimately connecting with all parties involved. Since 2004, he has served as a senior correspondent on Israel’s Channel 2 “UVDA”, a documentary and current affairs programs, where he produces investigative documentary segments from around the world. He is currently a Knight-Wallace Fellow at the University of Michigan. There is no cost to attend. advance registration is appreciated at itaidetroit.eventbrite.com. For more information, contact Lauren Herrin at 248-642-2641 or herrin@jfmd.org. JCRC/AJC’s mission is to represent the metropolitan Detroit Jewish community, Israel and Jews throughout the world to the general community, and to establish collaborative relationships with other ethnic, racial, civic and religious groups. JCRC/AJC educates and advocates on important issues, seeking consensus with a commitment to Jewish values. For more information visit www.jcrcajc.org.